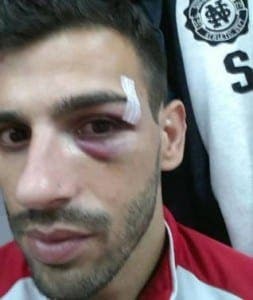 A FOOTBALL fan has been banned from watching the beautiful game after attacking an Algeciras footballer. 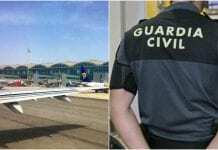 The Murcia fan was slapped with a 20,000 euro fine and a two-year nation-wide stadium ban after he assaulted Algeciras midfielder Alejandro Melchor outside the Estadio Nuevo Mirador. Melchor needed three stitches and was left with a black eye after the fan punched him as he boarded the team coach. The fan also clashed with Algeciras members of staff during the game, hurling sexist abuse at the female physiotherapist.